Unfortunately for fans, Ariana Grande has canceled yet another performance as she takes a brief hiatus to deal with the passing of her late ex-boyfriend, Mac Miller. Mac died in the first week of September, this year, from a drug overdose. Ever since he passed away, Grande has been out of the spotlight, even canceling her scheduled appearence on Saturday Night Live, in which she was replaced by Kanye West. Ariana was supposed to take the stage yesterday but ended up not doing the performance. Her manager, Scooter Braun, spoke on Ariana Grande’s health, adding that she needed time to recuperate. Instead of Ariana performing at the event, Scooter “called in a favor” and had the host of The Daily Show, Trevor Noah, do a stand-up performance instead of Ariana. Grande was on the bill for a duet along with Kristen Chenoweth from Broadway’s Wicked. She ended up singing her song by herself. The 25-year-old singer also has a date on the 29th of October, for NBC’s A Very Wicked Halloween: Celebrating 15 Years on Broadway. As it was previously reported, Mac Miller, or Malcolm McCormick, passed away on the 7th of September due to an alleged drug overdose. Mac and Ariana broke up during the summer months, leading fans to speculate that their split sent Mac into a depression. 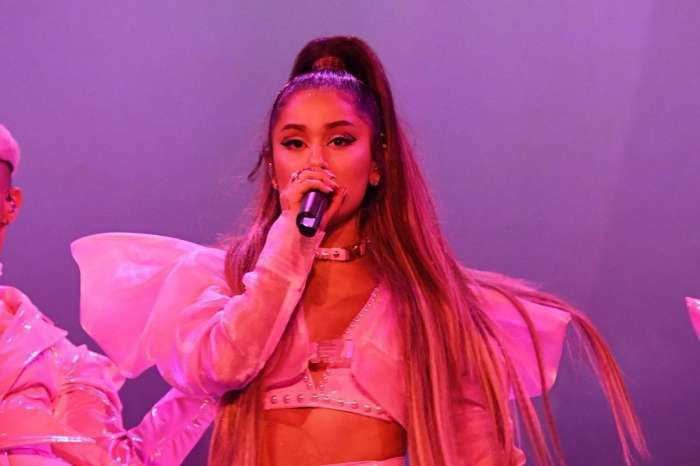 Putting aside the Swimming rapper’s death, Ariana also experienced one of Britain’s great tragedies when a suicide bomber murdered 22 people at her show in Manchester last year. Even though Ariana, herself, didn’t suffer harm, the psychological effects of it were immense. In a statement on the 17th of September, her team said she was taking time to rest. Some People Believe That Kandi Burruss' Dungeon Party Was Actually A Swingers Meeting After Photos Of The Night Hit The Internet: "Kim Zolciak Was Right!"